a mac is not a real apple. posted by Casey in depression,Too lazy to label. 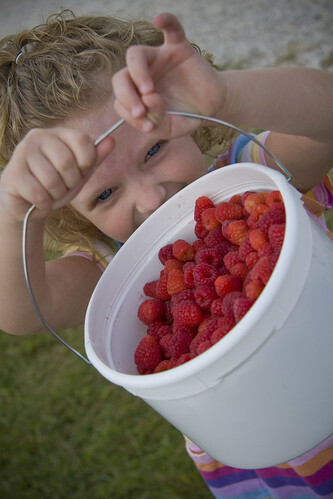 You can’t pick raspberries and be online at the same time. You also can’t pick apples while updating your facebook status. You can’t choose out Indiana tomatoes the size of pumpkins while tweeting from an iPhone. And you definitely can’t feel up a giant peach with a laptop in your hands. There was no wi-fi where I spent the day. But there was one of these. And these are always better than the Internet. Good job Indiana, keep it up. The real OC. And his battle with brownies. But it felt SO REAL. Especially like the first one. Like, WOW. Those are AWESOME and WAY better than the interwebz any day. The moral of this story is that we should all come visit and see said delights in person…and eat them…in a field…way out of town. I’ll bring my camera. 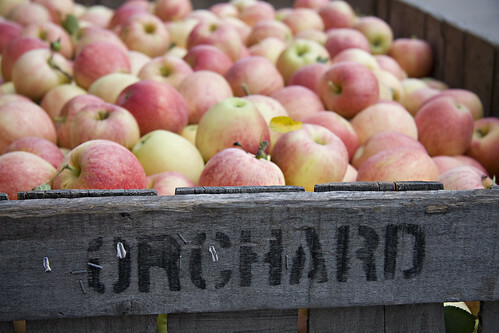 Oooh, were you at Anderson Orchard? I haven’t gotten over there yet this year and I’m dying to go. Beautiful! I love days like that. I need one soon. Great. Now I’m hungry. But the pictures are really, really pretty. Well done. there’s something so nice about unplugging and just enjoying! 1. spill it – where did you go, because I have a long weekend coming up here and that’s where I want to spend it. 2. I wish I was disconnected, I’ve had to spend these past couple beautiful days cooped up working. Yum yum yum I could eat my computer screen. Yes. The people have spoken. Spill the location, miss! We must go too! Sometimes, on these very rare occasions, it is good to be a Hoosier. Beautiful photos! And what a wonderful day! Hey my weekend looked like that too. Plus no wifi. It was nice. Perfect reason for unplugging and now Im online to find a farm near me like that near me in Ohio. Surely Ohio has farms, no? What a fun place to bring along the camera. I loved this post today and I am sorry I didn’t stop by sooner to tell you. You’re crazy! I’d much rather spend my time online than get my hands dirty and get scratched by vines and ew! Is that at Huber? Where is it? 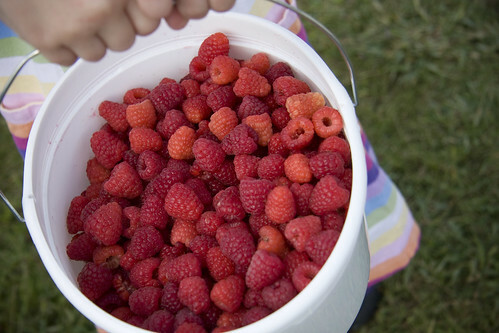 I want to pick raspberries! You’ve inspired me. I think Dean and I will make a return visit to the Black n Blueberry farm tomorrow. Then we will eat our pickings on the way home and ruin the upholstry in my car. Well worth it, I say. 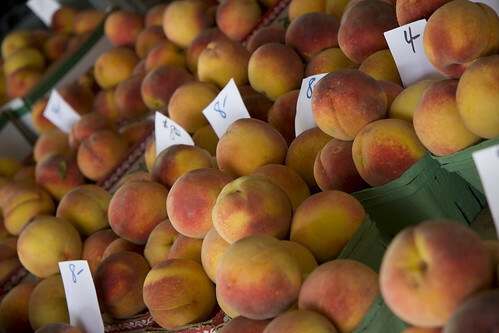 These photos look like they came from Anderson’s Orchard in Mooresville. Am I right? We are taking our preschool there next month and I can’t wait to have one of their apple slushies! I was going to say Anderson, too! MOF I *think* we were down there the same day? The light looks right. Great place for taking pictures. Gorgeous pictures – and I’m so craving a home grown tomato right now. 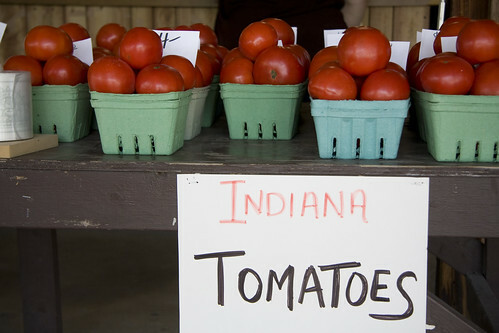 (No, not Indiana home, my home state (NJ) had good tomatoes too!). It’s already apple picking time in Indy? We usually wait until about mid-September here in CT. I can’t wait!! Glad you had such a good day. the captions are sooooo true. i think it all the time. and i saw today that the us is opening its first internet addiction center. which, is not surprising.